I work with private presses and individuals to create tailor made volumes. I have access to some of the best printers, both museum quality archival digital and traditional letterpress. I can advise on all aspects of the book production process and source materials to match. Together we can create the book you never knew existed. 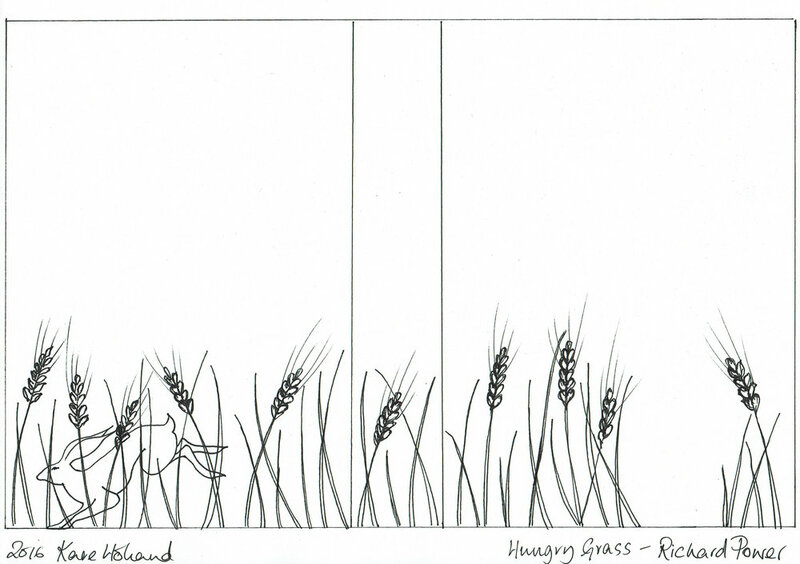 Richard Power - The Hungry Grass. published by Apollo 2016. Unique copy. A quiet, engaging novel about a priest in 1950s rural Ireland. In Irish mythology the Hungry Grass is where a famine victim has fallen dead and the crops cannot grow. A pivotal moment describes a hare running through a barley field with just such a gap. The book was a commission for the author's wife. 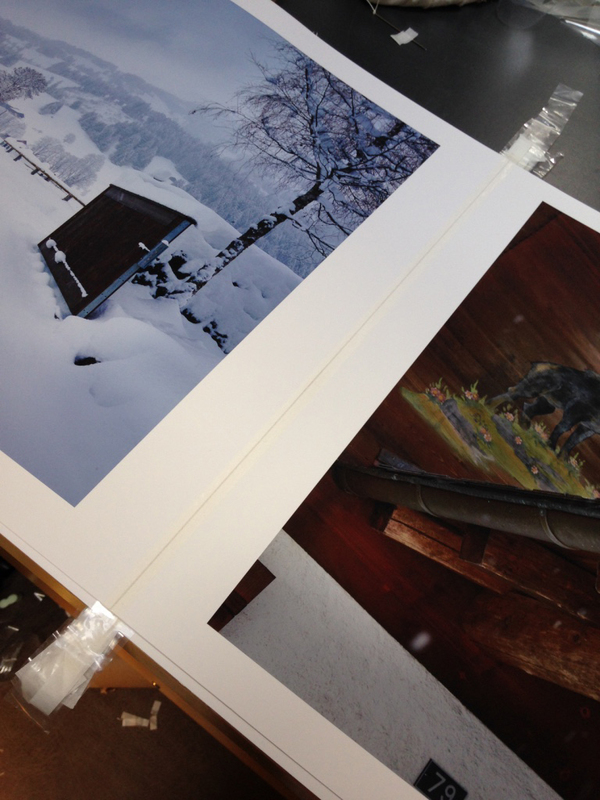 It arrived as a pdf which was digitally printed on 125gsm Canson Antique White. It was then bound in full green goatskin with brown goatskin onlay and 24c gold tooling and housed in a leather entry slipcase with hand tooled leather label. Edward Lear - Landscapes in Italy. 1843-45. Unique copy. The owner of this collection of Edward Lear watercolours wanted an album of facsimile reproductions of the originals. The images were printed to museum quality level on archival paper and tipped into the hand sewn album. The title, introduction and list of plates were letterpress printed using Caslon typeface on 200gsm Heritage Bookwhite. The album was bound in fair calfskin digitally printed using one of the images and the title hand tooled in 24c gold. The album was housed in a custom made drop back box. It was finalist in the Limited Edition and Fine Binding category of the British Book Design and Production Awards 2016. 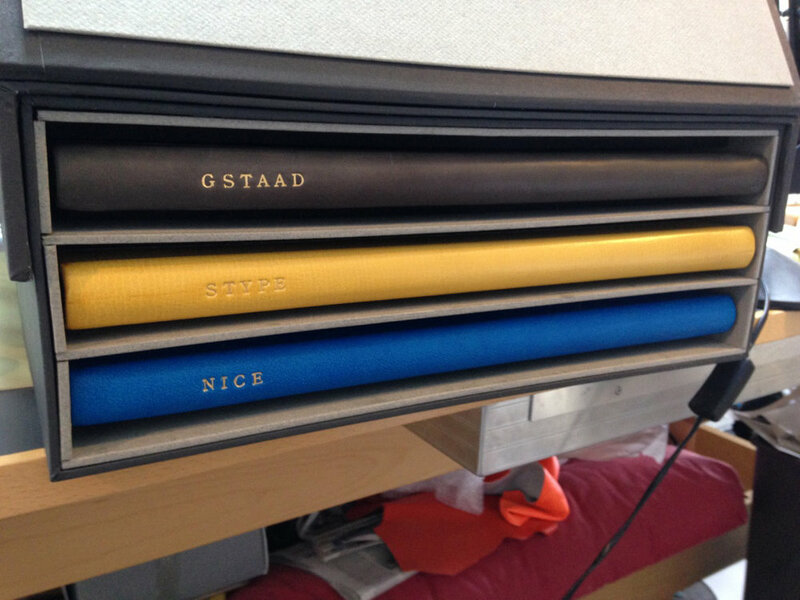 Northfield Editions - Gstaad. Nice. Stype. Photographs by Allan Pollok Morris of three properties on the occasion of the owner's 70th birthday. Ltd edn 5. Large format, single sheet archival digital prints were joined using Japanese tissue to create sewable sections. Each book was then rounded and backed with a quarter leather binding and gold tooled titles. They were housed in a triple layered drop back slipcase with a hand dyed blue leather panel with inlays and gold tooling. It was a finalist in the Digitally Printed category of the British Book Design and Production Awards 2016. Nine Dragons. Ltd edn of 5. 10 gilded boards screen printed with images of dragons with acrylic overwashes and applied gold to rear. This is an accordion binding in a wraparound case of gilded board with pierced black goatskin overlay. Housed in a custom made clamshell box with gilded and screen printed labels in Chinese and English. Screen printing by I Dress Myself, eco screen printers of Frome. The images of dragons are based on a 13th century scroll by the Taoist Chinese painter Chen Rong, now housed in the Boston Museum of Fine Arts. The cover depicts silhouetted paddy fields seen through a Chinese lattice window. The structure is reminiscent of painted screens with gilded lacquer work. This copy was produced for the Designer Bookbinders International Competition 2017. The theme was Myths, Heroes and Legends and I chose to depict the ancient Chinese myth of the nine dragons who are the sons of the all powerful Dragon King. They are manifestations of the Dao, the central truth of Taoist philosophy, the creative forces of Nature that appear for a moment then vanish in mystery. Please enquire about availability.